ABS Business Sales uses modern marketing tools to keep up with the current digital trends. We send out weekly email marketing campaigns to our subscriber base of over 13,000 prospective buyers to attract new enquiry. We have three campaigns concentrating on different buyer segments to maximise our reach by peaking different interests. We send out industry campaigns to target specific groups such as: hospitality, construction & business services to name a few. The Industry campaign features only businesses from a specific industry and targets buyers exclusively looking to purchase a business within that industry. 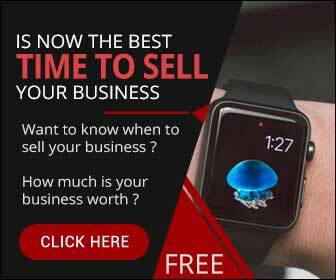 These campaigns are only sent to buyers seeking a business for sale in that industry and Sellers have a higher chance of attracting the right buyer. The “Your Opportunity” campaign features new businesses listed for sale giving buyers the exclusive first look at what we have on offer. It also features an “exciting opportunities” section which advertises not so new, yet exciting business for sale with the purpose of gaining renewed interest in our unique opportunities available. The “Price Reduction” campaign features all price reductions on businesses for sale in the last week, giving buyers the exclusive first look at all price drops. It also features a “Franchises” section, which aims to attract buyers with the opportunity to acquire a nationally recognised brand leader. The “Million Dollar Businesses for Sale” campaign features corporate businesses priced at over $1,000,000. Using direct marketing techniques, the campaign helps to gain new interest by making the listings easier to find and attract buyers with the opportunity to acquire an established corporation. Our targeted campaigns reach a large audience of registered active buyers from our database. Rather than buyers manually having to filter through thousands of other businesses on numerous portals to find it, it appears directly in their email. The campaigns also reap further benefits as they are coded to give us feedback on its performance with emails tracking, and statistics to indicate how many buyers saw the campaign and tells us what businesses they were interested in, for example. Overall, sending out the campaigns is a useful marketing tool that assists to bring traffic to our website, generate new enquiry and regain attention from our target market with regular updates, and brings Seller’s closer to finding a buyer. ABS Business Sales has on-going billboard campaigns that are displayed throughout South East Queensland in various high-traffic areas. With 15000 circulations each week, this free to the public newspaper is distributed at various strategic locations including Chinese organizations, business and major tourist centres. is the leading Queensland's residential and commercial property outside English media with news, features and information for property buyers, developers and investors. With a circulation of 10,000 copies per issue, it is distributed free at more than 50 locations throughout Brisbane and Gold Coast. Available for free from Korean retail stores across Brisbane. This magazine covers 90% of the Korean population in Brisbane. established in 2003 is Brisbane’s first full colour Multicultural / Indian newspaper. The newspaper is distributed to Indian retail stores. The newspaper distributes 65,000+ copies per month.